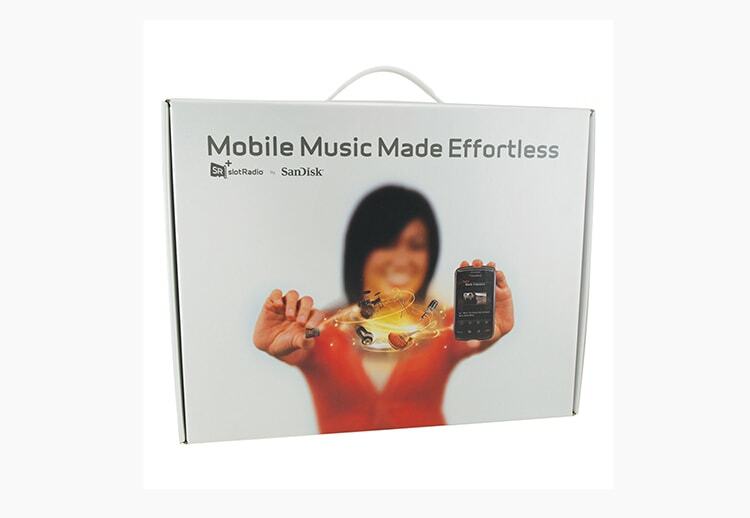 SanDisk was looking for a clever way to launch its slotRadio product into Verizon Stores across the country. 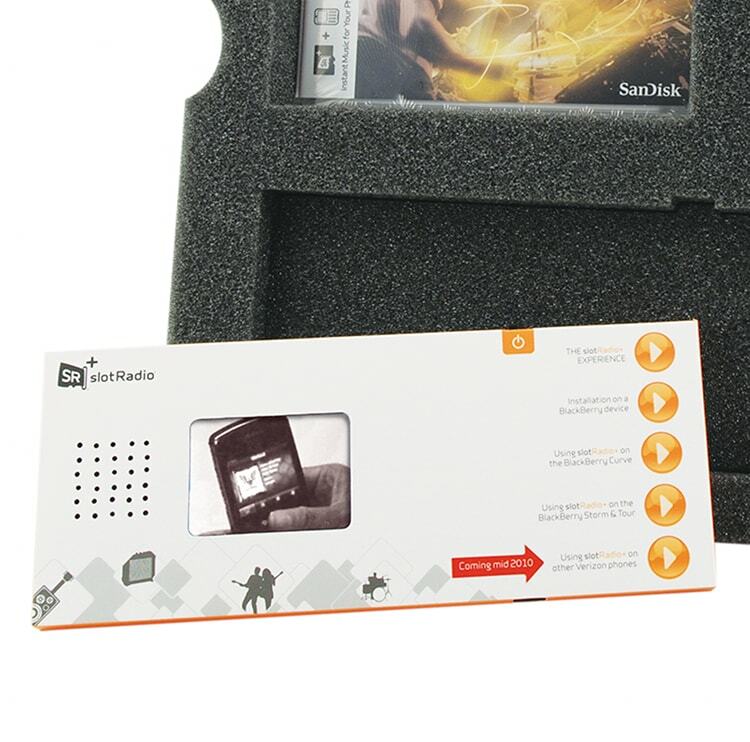 Since slotRadio was taking on iPod directly, SanDisk wanted to wow retail partners with a specialty package that spoke directly to the tech-savvy recipients, captured mindshare and communicated effectively the features, functions and benefits of the new product. 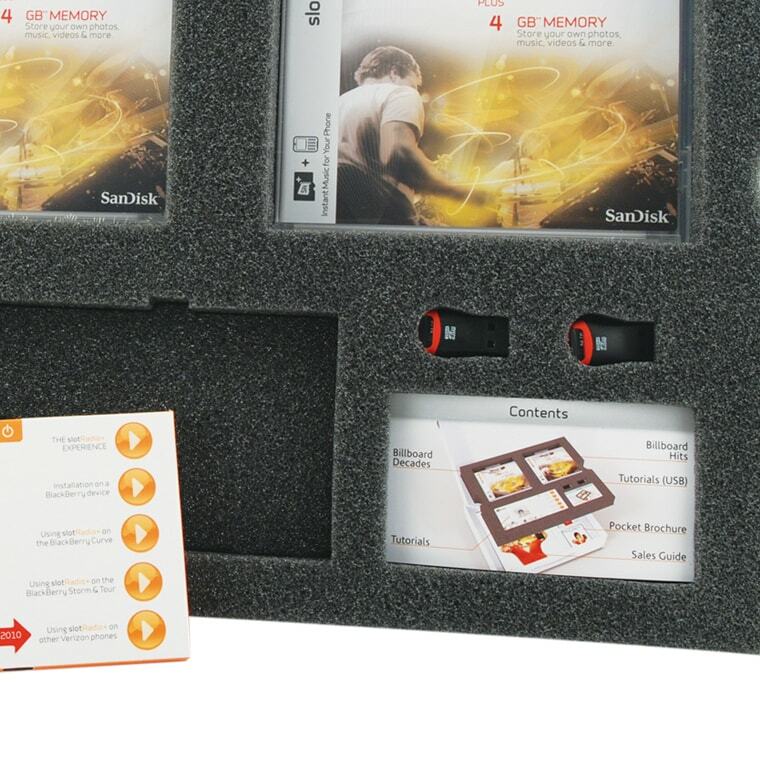 Americhip worked with SanDisk to design an oversized package that incorporated Americhip’s revolutionary Video- in-Print® technology to create a first-of-its-kind retail launch kit. 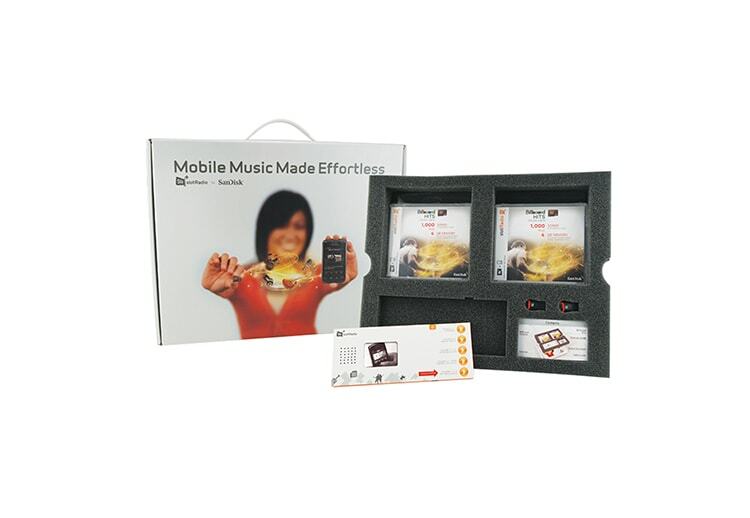 Complete with carrying handle, the well-appointed kit contained product launch information, as well as a self-contained VIPTM sleeve housing a 4.1” video screen. 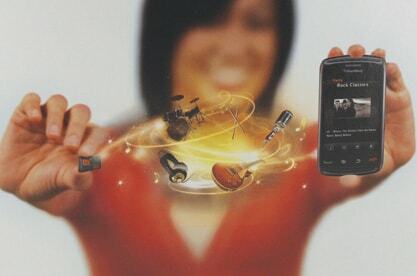 SanDisk was able to convey all of the unique features and benefits of its new product through the sleek new medium of VIPTM technology.